Food tourism has always been my goal ever since I started blogging seriously. I had always been keen on showcasing the best of what our Bacolod restaurants have to offer. It has been more than three years now and I keep doing this because I just love this advocacy. Promoting Food Tourism for Bacolod restaurants has always been my game. 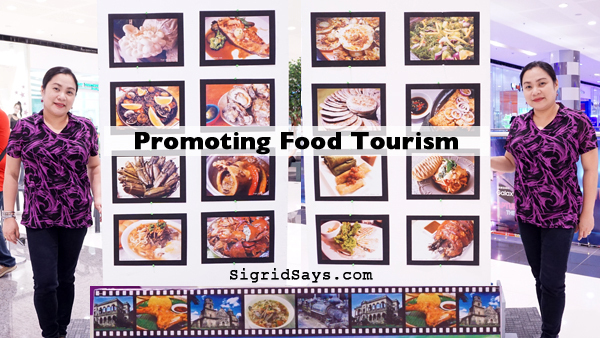 When I started seriously blogging three years ago, food tourism was what I had in mind. I have a website so that means I had an online voice to the world. My audience is not just limited to the locality. So, I decided to use that voice to promote Bacolod City–our little corner in the little country that is the Philippines. Food tourism has always been my goal in blogging. 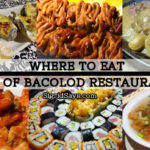 I am here to promote Bacolod restaurants. But what about Bacolod City? We don’t have nice beaches nor theme parks. Shopping is so-so. So how do you promote Bacolod? Through Bacolod restaurants, of course. We may not have Michellin-star restaurants, but we have many great establishments, big and small. And of course, we have really good food and really great cooking. 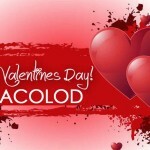 Plus, we have lots of great Bacolod pasalubong items that are worthy to share. I guess that is because Bacolodnons have such a rich taste. Now, I have made it my social responsibility to promote Bacolod restaurants. It’s not like I am hired by the Department of Tourism to do this. However, I am doing this because I want to do my share in promoting Bacolod City, not just to the national scene, but to the world. After all, my reach is the world wide web (www). 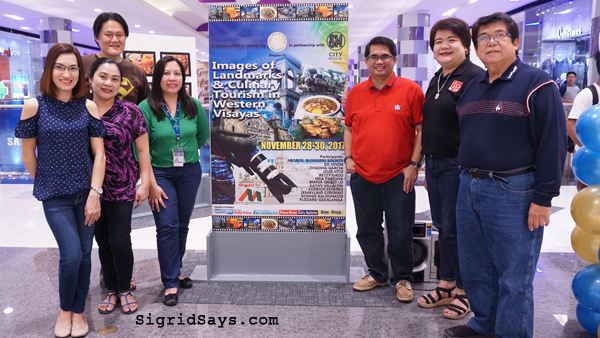 SigridSays joined the DOT’s Food Tourism exhibit. Of course, the effect of my efforts resonate to the province of Negros Occidental and our beloved Philippines. I always carry the name of our city, province, and country in my posts. No matter the issues, I still love our city, our province, and our nation. After all, I live here so I won’t trash this place. My family is here. And I will do my best to make it better, even only in my capacity as a private citizen. My online persona will do the talking. That is why I may not be read as someone openly critiquing Bacolod restaurants. I am here to promote–not give reviews. That’s the difference of being a feature writer and a reviewer or opinion writer. Some may fault me for it, but restaurant owners appreciate that gesture. I am here to advertise them and our city to the world. Before I was a blogger, I was a professional journalist and then an advertising practitioner. From what I have learned from years of practice, nobody shows faults in promotions. 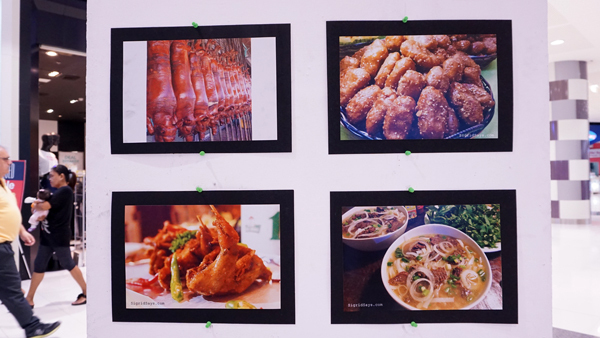 19 of my food shots are on display at the photo exhibit. Hope you can drop by and see the exhibit. If I have comments, I make sure that the management of these Bacolod restaurants know about it. 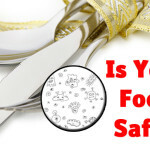 Whether it’s food, service, handling, or their physical store. I tell that to the owners or managers so that they can improve their operations. After that, it is up to them to act on these recommendations. My blog has my name and my face. That is because I take responsibility for what I write. That’s another way of helping our restaurant industry. I do not believe in shaming Bacolod restaurants. While restaurant-shaming may bring change, it does not foster relationships and good will. And Bacolod is just a small city. We have a physical store. My parents and parents in law are good people. I don’t want to bring shame to families either. Three of my food shots are on this panel. The Negrense Blogging Society, Inc., a.k.a. 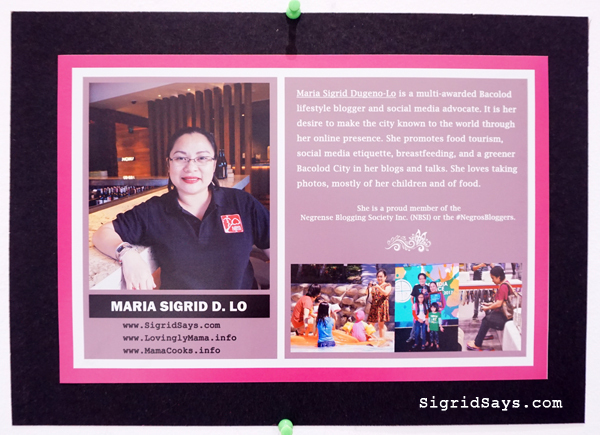 the Negros Bloggers, was asked to join this photo exhibit to promote our city. 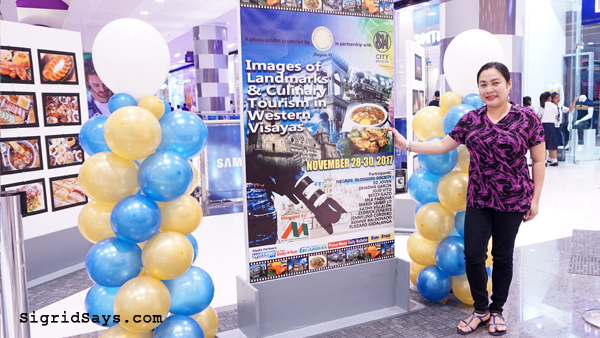 It is entitled Images of Landmarks and Culinary Tourism Western Visayas and it is in line with our groups advocacy. It is organized by the The Department of Tourism Region 6 with SM City Bacolod. I am a proud member of the Negros Bloggers. 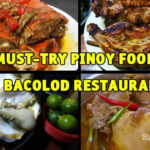 I thought this would be another great opportunity for me to promote Bacolod food. 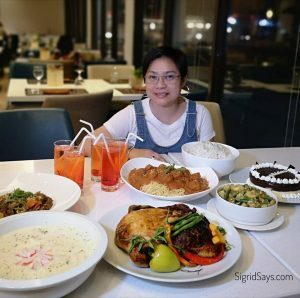 While I am not able to mention the Bacolod restaurants in the photos, the locals would surely know where to find these dishes. The Negros Bloggers with SM PRM May Castro and Mr. Toots Jimenez. I am not a pro photographer. I am just a food lover who takes photos of food. But 19 of my photos are on display in the exhibit. These were taken during my many food jaunts among Bacolod restaurants. I have enjoyed eating them and taking photos of them. Hope you can drop by and check out the display at SM City Bacolod. SM PRM May Castro gives an encouraging talk about promoting local tourism. 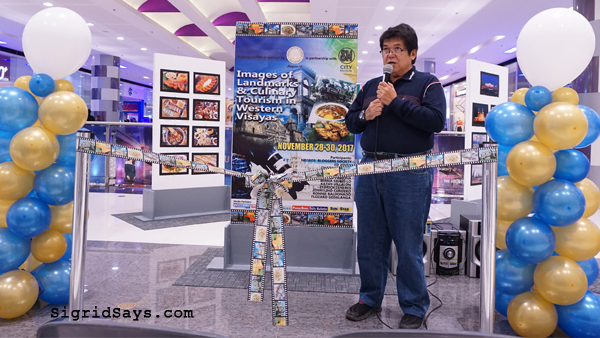 Many Negros Bloggers members contributed photos of food and landmarks to the exhibit. These are NBSI President Eduardo Joven, Dhadha Garcia, Jennylind Cordero, Betsy Gazo, Mea Pabiona, and Jojo Vito. Professional photographers who joined are Ronnie Baldonado and Flozard Gedalanga. During the formal opening of the photo exhibit. 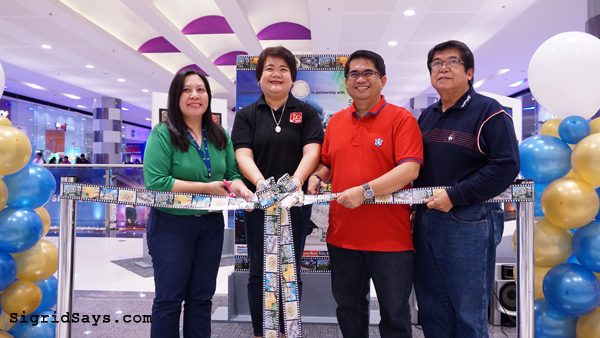 From left: SM PRM May Castro, Provincial Tourism head Jennylind Cordero, NBSI President Eduardo Joven, and organizer Mr. Toots Jimenez. 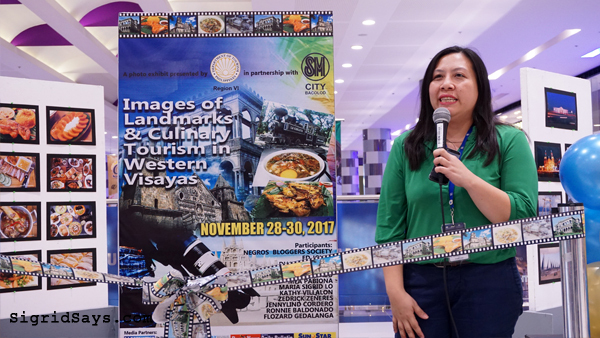 The exhibit is ongoing from November 28-30, 2017. It’s on the 2nd floor of SM City Bacolod North Wing, just above Viking’s. The photos are for sale at P400 each. Proceeds will be turned over to the Holy Infant Nursery Foundation Inc.
Mr. Toots Jimenez during the opening ceremonies. 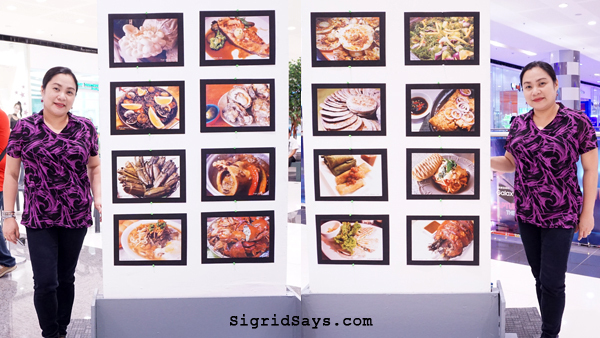 Thank you, Sigrid, for bringing out the best of our local food through this exhibit! May bloggers and social media practitioners like you always use the immense power of connectivity and online presence to continue promoting Bacolod City and the rest of the Philippines.